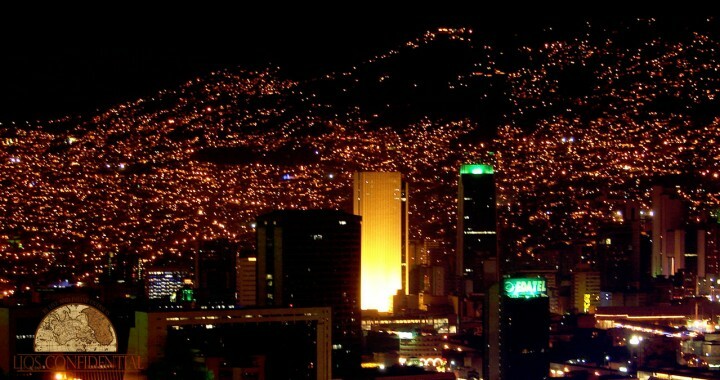 Meanwhile CNN Travel has praised Medellín’s innovative transport system, as well as its emerging reputation as a foodie city. And—love it or hate it—following the opening of its first café in the city in September, Starbucks is doling out the frappuccinos in two more branches just opened this month (all Starbucks’ Colombian branches have committed to sourcing locally grown and roasted arabica coffee beans). That’s three branches of Starbucks in one city… in three months. But remember, wherever you go in the world, you’ll find pros and cons… and Colombia is no different. For example, English is not spoken by most of the locals. Though you can find it spoken at the larger hotels, restaurants, and businesses, this is not the rule everywhere. But we can introduce you to the best places we know to study Spanish, to smooth out this rough spot. Another downside right now is that things like opening a bank account and moving money are not straightforward. It’s possible to do these easily—once you know how—but you’ll need help learning the ropes… before the fact. You’ll need connections… and introductions. And at the Live and Invest in Colombia Conference, you’ll meet the people who can make it happen for you. This is an emerging retirement haven… not, at this point, an always very user-friendly one for the English speaker. But like anywhere in the world—knowing what you’re getting into in advance will allow you to make well-informed decisions and smart choices… that will protect you from any potential downsides. That’s the driving agenda of our Live and Invest in Colombia Conference: To prepare you. And so, an important part of our agenda is to show you the downsides… and then show you how to navigate and overcome them. To this end, you’ll hear from a number of expats who have already chosen to re-launch their lives in this special country. They’ll show you firsthand how they overcame the obstacles to make things happen. Information, contacts, connections, and real-world insights. That’s what we promise… and that’s what we deliver. And that’s what makes us different from any other discovery tour or relocation group you’ll find out there. Don’t get caught up in those unfulfilled resolutions. Now is the time to take action and make 2017 your best year yet. Secure your seat in Medellín now… while our Early Bird Discount still stands (and save a further US$50 with Coupon Code COLCONFIDENTIAL). Coming to Colombia in 2017, you’re not too early or too late to buy into the good life at a deep discount. The timing is just right. Here’s to a new year of adventure, opportunity, and new friends. Posted in Live And Invest Overseas Confidential and tagged invest in medellin, medel.